Musician with a message: Dreaming in 3D. SaulPaul's life looks a lot different than the humble beginnings shown in the film based on his life. Imagine being born into poverty...without a mother or father. Picture growing up in the ghetto...surrounded by drugs and murder. Visualize being incarcerated in prison but then...See yourself going against all odds and graduating from one of the nation's top universities. This was SaulPaul's life. From juvenile incarceration to college graduation to international sensation, SaulPaul transformed his dreams into reality. In this keynote experience based on SaulPaul's book Dream in 3D, SaulPaul shares his inspiring story and an insightful message about overcoming adversity and grasping greatness. Is your glass half empty or half full? However you see it is how it is because...What You See Is What You Get. SaulPaul learned this through experience and his life changed when he changed his perspective. SaulPaul's change in perspective is what empowered him to transition from tragedy to triumph. In this keynote experience, SaulPaul shares his inspiring story and a clever, comedic and thoughtful message about perspective. SaulPaul is an influential voice in corporate social responsibility and an expert in youth empowerment. SaulPaul is a thought leader who has shared his ideas at two TEDx Talks and has worked with the United Nations Foundation on multiple campaigns. He is the founder of ReRoute Outreach, a nonprofit organization that has impacted hundreds of thousands of underprivileged youth across the world. 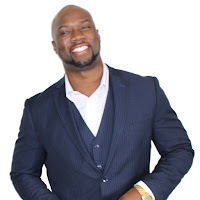 After years of being brought in as a speaker for companies like the NBA, NFL, Google, Spotify and Johnson & Johnson, SaulPaul saw ways he could make CSR outreach better so he became a consultant. Years later, numerous cities have been impacted and thousands of hours of community service have been logged. In this keynote experience SaulPaul not only shares his inspiring story but delivers innovative ideas and practical tips that help create personal and organizational growth. Stories are one of the most powerful emotional currencies we humans possess. They have been a fundamental and influential part of the human experience since we developed language. SaulPaul is a trained storyteller. He shares his stories as a musician, author, speaker and filmmaker. In addition to being a storyteller, SaulPaul has a story to tell. He transitioned from prison incarceration to college graduation to international sensation. This multimedia keynote combines strategic storytelling, inspirational speaking, music, and the power of theater and comedy as SaulPaul shares his personal story of tragedy to triumph while simultaneously empowering the audience with storytelling techniques that can equip them to tap into the art and power of storytelling. SaulPaul, a Musician with a Message, redefines what it means to be a keynote speaker. He's an award winning recording artist whose album Dream in 3D was considered for a Grammy Award. His book Dream in 3D has influenced multitudes. SaulPaul has entertained & inspired audiences at amazing events and venues across the world. He has shared his story and his music at two TEDx Talks, Google HQ, the last 5 Super Bowls and the Kennedy Center for Performing Arts. In addition, SaulPaul is the founder of ReRoute Outreach, a non-profit organization which helps at-risk and under privileged youth discover and develop their artistic and entrepreneurial skill sets. In part because of his art and part because of his heart, June 12th was deemed SaulPaul Day by the Mayor of Austin, TX, the Live Music Capitol of the World.